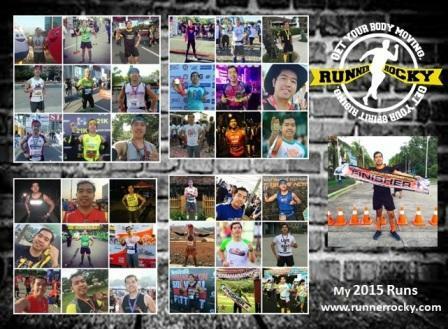 If you successfully completed your Runrio Trilogy 2017 from Leg 1 to Leg 3 with distances of 21K (Half Marathon), 32K (Afroman Distance), and 42K (Philippine Marathon) respectively, then this news will definitely excites you! 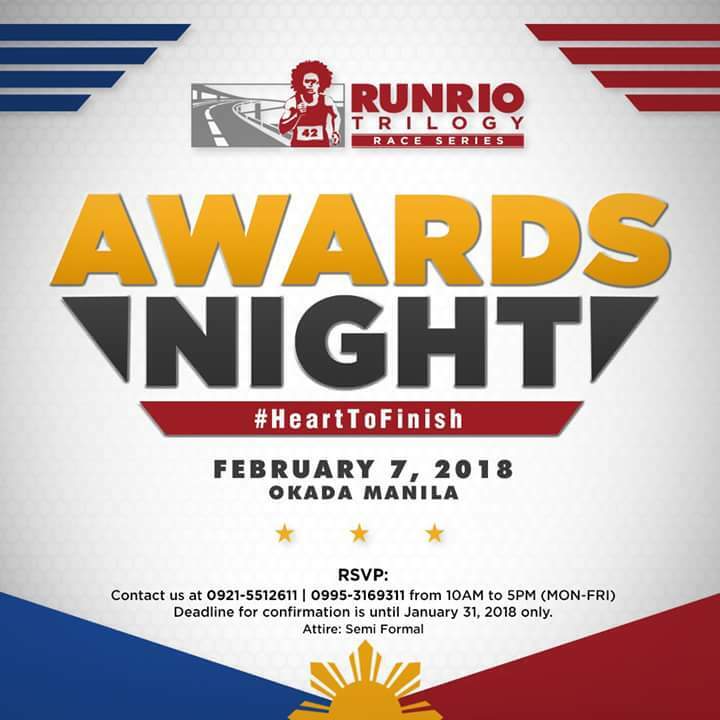 The Runrio Trilogy 2017 Awards Night will be on February 7, 2018 at Okada Manila. 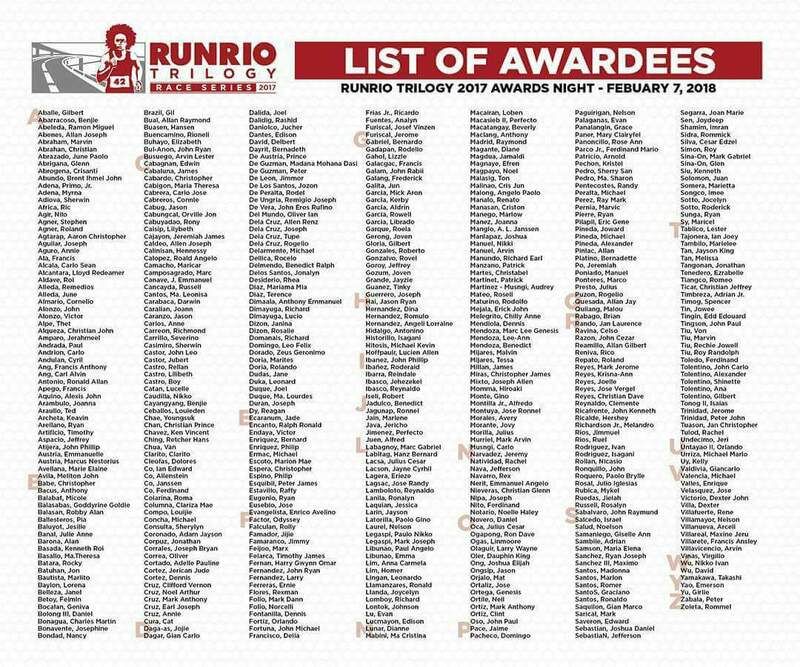 This is strictly for invites only and runner awardees will need to RSVP the following numbers from 10AM to 5PM (Monday-Friday): 0921-5512611 and 0995-3169311. 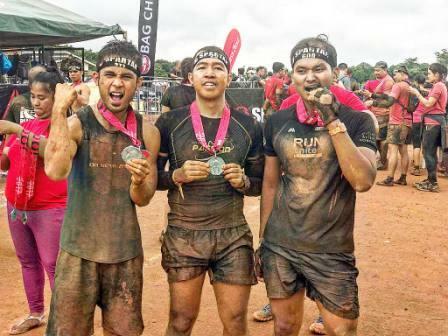 Deadline of confirmation will be on January 31, 2018 Only. For those who will attend the event, the attire is Semi-Formal. Have you see your name in the list above?! 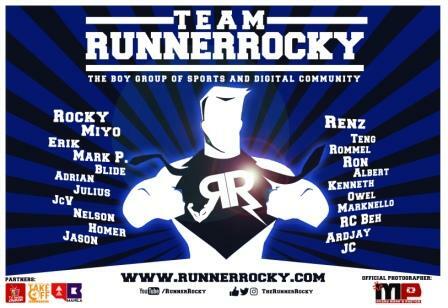 Yours truly Runner Rocky's name is also on the list above. And yes, will definitely attend this award. 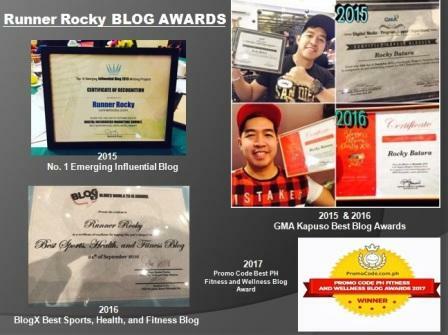 This will be my very first time to attend an Awards Night not for celebrities, but for the runners who successfully completed the trilogy!